The health workers at the airports, apart from giving vaccination against yellow fever as a major requirement for travelling to many African countries, also help with the health screening of passengers. The Port Health Services workers, who are stationed at all ports of entry into the country, have joined their colleagues in other sectors under the umbrella body of the Joint Health Sector Unions in the strike that began last month. When our correspondent visited the Port Health Services office at the Murtala Muhammed International Airport, Lagos on Thursday, only the security man was on duty. A few of those working at the airport terminal were available but not fully on duty. One of them, who spoke on the condition of anonymity, said they were there to help some passengers who might need their assistance. The country began health screening at international airports during the Ebola outbreak of 2014 and continued for a long time after the crisis. 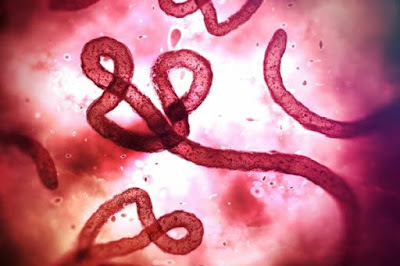 The process is expected to be fully revived following an announcement by the government of the Democratic Republic of the Congo of a new outbreak of the disease in the rural northwest of the country on May 8, coming after two cases of the disease were confirmed in some regions. Despite the absence of the health workers, the Federal Airports Authority of Nigeria has assured the travelling public that it will ensure their safety. The General Manager, Corporate Affairs, FAAN, Mrs. Henrietta Yakubu, told our correspondent that the agency’s medical personnel would handle health checks at all international airports pending when the strike would be called off. Earlier in a statement, Yakubu had stated that since the first recorded case of the virus in Nigeria through an American-Liberian, Patrick Sawyer, the agency had not relaxed its surveillance at the airports in order to forestall any re-occurrence. She added, “All the equipment and personnel used in combating the virus in 2014 are still very much at the airports. We have always had thermal scanners in our airports that monitor temperature of passengers and capture their pictures. According to her, all relevant agencies have been mobilised and are collaborating effectively to ensure the safety of passengers and airport users. The General Manager, Public Relations, Nigerian Civil Aviation Authority, Mr. Sam Adurogboye, stated that the travelling public had no reason to panic as there were no direct flights between Nigeria and Congo. He added that there was a system in place to ensure safety at all the airports where people arrive or depart the country.